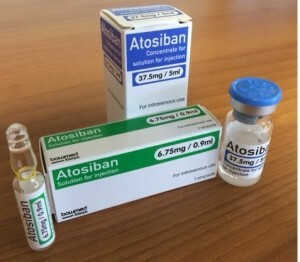 Bowmed Ibisqus is delighted to announce the launch of Atosiban IV on behalf of the MA Holder Ibigen Srl. This product will be distributed in a 6.75mg/0.9ml ampoule and a 37.5mg/5ml vial. Please note that future batches of the 37.5mg/5ml vial will also include a warning on the front of the carton and label that the product must be diluted prior to use. There will also be an update to the Patient Information Leaflet in subsequent batches later this year. Please refer to the Products Section of our website for the latest SPC and PIL or click here for further information regarding the packaging changes.